Pre-meeting call (60 minutes) and preparatory process. Catered lunch (if at our office in Franklin). Review of numbers and marketing materials sent in advance. Sharing of several marketing examples where applicable. Recording of the day (if at our office in Franklin). One follow-up, 90-minute phone consultation. This service includes a 30-minute review of the marketing materials and information submitted in advance of the call. If more time than that is required, the time will be taken from the 90-minute phone consultation. This time may NOT be split into 2 or 3 shorter calls. If Your Audience Is Made Up Of CEOs Or Sales And Marketing Executives Of IT Services Firms, You Won’t Find Another Speaker Who Can Deliver A More Powerful, Useful And Inspiring Presentation Than Robin Robins. 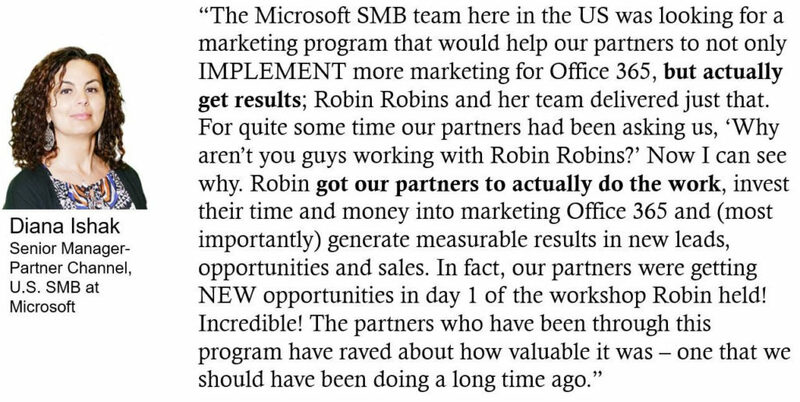 You can hire any number of other sales and marketing speakers with zero experience in selling IT services who will only deliver a canned presentation filled with generic marketing concepts – or you can hire the industry’s leading speaker, expert and author on IT services marketing, Robin Robins. Marketing is ALWAYS an in-demand topic at any IT industry event – and Robin will deliver much more than an “inspirational” speech on the subject. 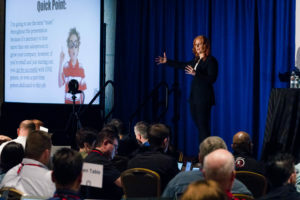 She’ll give your attendees a content-rich session that contains tangible, specific and useful information and strategies that are directly relevant to companies selling IT services. From industry research to specific exhibits and case studies, Robin’s session will be chock-full of useful and current case studies, examples and information your attendees can actually use the minute they get back to their office. All of Robin’s sessions are based on her 16+ years’ experience in working exclusively with MSPs, VARs, solution providers and IT services businesses for increasing sales, online marketing, branding, demand generation and consultative selling. Every session she delivers is customized for the audience she will be speaking to. 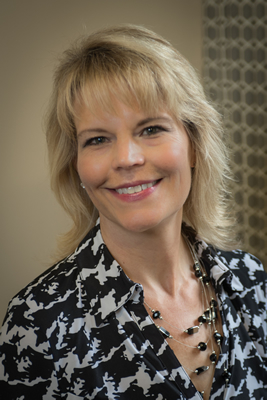 Robin engages her entire list of clients and IT business owner prospects via her Video Blog. This blog provides content-rich videos on various topics on business building, marketing, sales strategies and occasionally vendor-partner interviews. Robin’s videos are viewed over 1,000 times on average, with traffic driven via e-mail to our list and all social media sites. For more details on being interviewed by Robin on our Video Blog, contact us direct. Every month over 1,200 members receive a 12-page, printed newsletter packed with proven sales strategies and marketing examples that you can put to use immediately in your business. (This is a paid publication for members who pay $127 to $1,297 per month to belong.) Topics include direct mail, website strategies, e-mail, pay-per-click, search engines, websites, trade shows, networking events, brochures, sales scripts and more. As a Marketing Strategy Brief sponsor, you may include an ad in this monthly newsletter. The sponsorship durations range from monthly or quarterly to an annual basis. 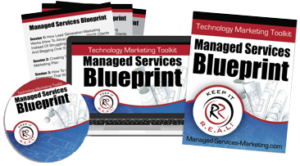 The Technology Marketing Minute is both a monthly newsletter and an online blog. 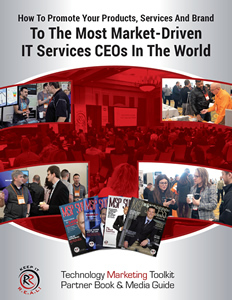 Each month, over 4,400 industry partners and MSPs receive this four-page newsletter. Sponsorship durations range from monthly or quarterly to an annual basis. As a Technology Marketing Minute sponsor, you may include an ad in this monthly newsletter. As A Sponsor – If you would like to be PART of the program, you can purchase a sponsorship. This includes an exclusive interview with a key player in your organization on a topic pertaining to the product. This teleseminar would be considered part of the product and would expose your services to thousands of new MSPs for years as they enroll in the program. Recommended Vendor – With each product launch, we put together a “coupon book” of offers and discounts for our clients. When they purchase the program, we’ll give them this book of vendors we recommend and special discounts, freebies and other offers YOU are making available to our list. This will be done both electronically on our member site as well as in the physical product. You’ll be able to have an ad with an offer in the printed version. Over 2,500 members access our Marketing Dashboard to get product information, find marketing resources and templates, attend our members-only events, track their KPIs and campaign results and much, much more. With this sponsorship, you have the option to display your company’s ad on the main home page that all members see upon login. You name it, we can arrange it. Whether it’s a special one-off event or a unique add-on to our existing event, we can work to develop a creative sponsorship that will help you reach our customers and provide a truly individualized experience. Let’s face it: while technically proficient, your partners are terrible at marketing, advertising and selling. Because of that, it’s much harder for YOU to hit your growth targets and attract more new partners. Maybe you’ve tried to provide marketing support but quickly discovered they don’t use the resources you give them and then complain that you aren’t helping them with marketing. That’s where we can help. If you want to give your partners a highly effective marketing system they will actually use, appreciate and get results with, then we can put together custom marketing training, templates, campaigns and seminars to absolutely guarantee your partners see results fast (and THANK you in return with more loyalty, referrals and sales).